The ACO has today released the details of the 2020 regulations for their LMP3 class, introduced initially in 2015. The second-generation chassis will race from 2020-24, with the new cars being an upgrade of the manufacturers’ present vehicles, not an entirely new car. An upgrade kit has been defined, covering safety, performance and design. The costs of that upgrade (or indeed of any new-build cars) are stipulated in the regulations. €4,900 to upgrade the current engine, and €50,000 for the chassis upgrade kit (technical passport included). This means that it will be a total of €54,900 to upgrade any current car for 2020. A new 2020 car will cost a maximum €239,000 (technical passport included). The new cars will be introduced for the 2020 season in the European Le Mans Series, Michelin Le Mans Cup, Road to Le Mans, Ultimate Cup and in V de V and for the 2020-21 season in the Asian Le Mans Series. Engine power has been increased by 35 hp, to 455 hp. The new 5.5 litre Nissan VK56 engine will be introduced. The current engines (Nissan VK50 V8) will be adapted to deliver the same power and performance as the VK56. Competitors can thus keep their current engines until they come to the end of their useful life and then acquire the new one. The Nissan VK 56 has been used previously in other motorsport applications including aboard the FIA GT1 Nissan GTRs and in the V8 Supercars Nissan Altimas though in both applications the state of tune and power output were significantly greater than in LMP3. Safety-related changes have been approved for the driver’s headrest structure and the driver’s seat, and Zylon side panels will be introduced. 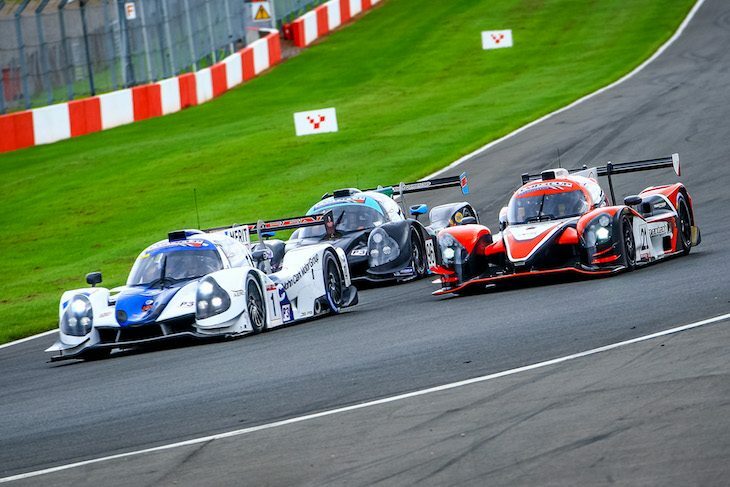 The sales price of an LMP3 car has risen. Why the price hike? No, the next version of LMP3 is not more expensive. In fact, it is very cost-effective. Let’s look at the two possibilities: a team already competing in LMP3 and a new entrant, who has to buy a new car. The team that already competes will be able to field a safer, more modern, better-performing car for an investment of €84,500 (chassis kit + engine + gearbox upgrade) over a five-year cycle, so an annual cost of €16,500. In other disciplines, the regulations require a change of car every four or five years. We wanted to avoid that as it would have meant 170 unusable cars with each team forced to invest €239,000 to embark on a new five-year cycle. Instead, current teams can significantly upgrade their cars for an annual cost of €16,500. The kit seemed the obvious choice because all the manufacturers selected for phase 2 have already produced LMP3 cars. For new arrivals, just compare the LMP3 offering (cost/performance) with disciplines with similar criteria. For example, in GT3, which has a worldwide following, the cars are three (on a standard circuit) to five (at Le Mans) seconds slower than an LMP3 for a purchase price of around €400,000 and, depending on model, unregulated costs for spare parts, which is not the case in LMP3. The only discipline that can match LMP3 in terms of cost is GT4 (€200,000 for an Audi R8 LMS GT4) but there is no comparison on a technical or performance level because GT4s are 10–15 seconds slower per lap. Can you tell us a bit more about the services, the customer support and the technical passport? How much support do teams get when they field a car? Each chassis manufacturer will provide customer support at every race run under the ACO banner. This is mandatory whenever a manufacturer has at least three cars entered in a race. There will be technical support and a spare parts service at the circuit so there is no need to block funds to store and transport parts (parts are invoiced 10% more at the circuits). Customer service costs €500 per race in Europe and €700 per race elsewhere at ACO races (European Le Mans Series, Asian Le Mans Series, Michelin Le Mans Cup and Road to Le Mans), a device promoting technical support on the series approved by the ACO may be set up on a case by case basis depending on the specificities of each series. Powertrain customer service is subject to the same rules and rates. Each car also benefits from an ACO technical passport which guarantees traceability and personalised follow-up to ensure technical quality. This comes with a loyalty scheme where points are awarded for entry in a race: 2 points for an ACO race (European Le Mans Series, Asian Le Mans Series, Michelin Le Mans Cup and Road to Le Mans), and 1 point for an ACO- approved race (other series). When a car attains 30 points, the legal entity or person that officially holds the technical passport is awarded €6,000. 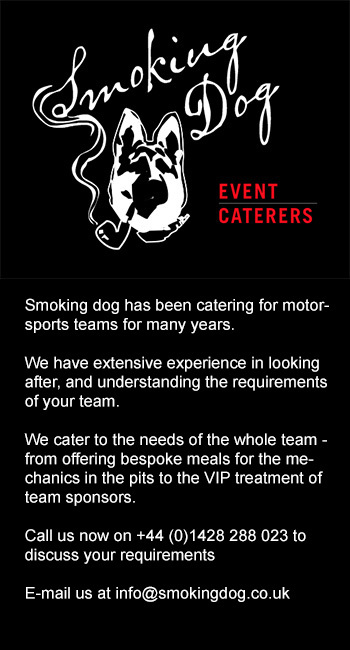 So LMP3 is not only competitive but there is a real incentive to take part.